I recently had a requirement for a customer to automatically add and remove user entitlements on VMware View 5.0 virtual desktop pools. While this can be achieved through View PowerCLI, the customer needed to query Active Directory to obtain a security group and then apply or remove this group from a pool. The issue with View PowerCLI in 5.0 is that the PowerShell aspect is a snap-in and not a module. Due this, a simple script calling both the Active Directory and View PowerCLI modules is not possible. To work around the limitation I have written the following scripts to add and remove pool entitlements using Active Directory groups. Where “Users” is the name of the Active Directory security group you wish to add or remove from a pool, and where “Test” is the name of the pool in which you want to apply or remove an entitlement. To run the scripts as scheduled tasks, place each script on one of your VMware View Connection Servers, in a directory such as C:\ViewScripts. 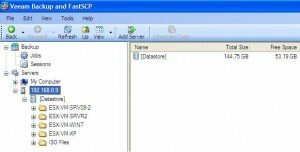 Proceed and create a new basic task in the Windows Task Scheduler and specify the required bat file as available for download below. The created bat files essentially call powershell.exe and then execute the required .PS1 file. A specific “-File” parameter in the bat file needs amending for your environment, as detailed below. After successfully being able to create a full Microsoft Office 2010 suite ThinApp, I have written a setup guide to detail the steps that had to be taken in order to get all Office applications working and to allow standard windows users (non local administrators) to activate office when launching the ThinApp for the first time. This article has been written using information for VMware sources and my own experience. The following ThinApp capture has been performed on a fresh installation of Windows XP SP3 with VMware ThinApp 4.6.1. 1. Download and copy the Microsoft .NET Framework 3.5 and Microsoft Office 2010 installation files to the ThinApp capture machine. 2. Ensure you have internet access on the ThinApp capture machine. 3. Install VMware ThinApp on capture machine. 4. Run the Setup Capture wizard, start and complete the pre-scan process. 5. When the pre-scan is complete, on the Install Application page of the Setup Capture wizard, minimize the wizard and install Microsoft .NET Framework 3.5. 7. In order for Office 2010 to activate correctly we need to edit the Config.xml file and specify your Multiple Activation Key (MAK). By default, the Microsoft Office 2010 Config.xml file is stored in the core product folder in the Microsoft Office 2010 installation media. Explore the Office 2010 installation media on the capture machine and you should see a folder named similar to “core_product_folder_name.WW folder”. For example, if my Microsoft Office 2010 media was Professional Plus, the folder name would be “ProPlus.WW”. Note: Do not enter any spaces or hyphens when entering the license key in the PIDKEY value, this must be all one string such as ABCDEFGHIJK. 9. To start the Microsoft Office 2010 setup wizard and apply the settings in Config.xml, open a new command prompt window and type navigate to your Office 2010installation media by using for example “cd d:\”. When in the installation media directory enter the following command and press return. 10. When the installation starts click to accept the terms of the agreement and click next. 11. On the Choose the installation dialog box, click the Customise button. 12. Select Microsoft Office and then select “Run all from My Computer” as the installation option. 13. Click “Install Now” to install Microsoft Office 2010, this will likely take some time. 14. When the installation is complete click “Finish”. Proceed and click the Start menu, select the Run option, and then type services.msc and click ok. When the services snap-in opens scroll down the list of services and locate the “Office Software Protection Platform” service, right click this service and select stop. 15. Maximise the ThinApp Capture wizard that we minimised in step 5 and then click to start the post scan process. 16. Once the post scan process has completed, change the Inventory name to something appropriate for your use, for example Microsoft Office 2010. 17. Before building the ThinApp project , copy the OfficeSoftwareProtectionPlatform folder from C:\Documents and Settings\All Users\Microsoft to the folder %Common AppData%\Microsoft. To get to the” %Common AppData%\Microsoft folder” open the ThinApp Setup Wizard and click the “Open Project Folder” button, in the resulting window you should then see a folder named “%Common AppData%” double click this folder then double click the “Microsoft” folder inside. Simply copy and paste the “OfficeSoftwareProtectionPlatform” folder into this location. 21. Maximise the ThinApp Setup Wizard and click on the “Edit package.ini” button before starting the build process. In the ini file change the “MSIStreaming” value to 1 if you want this to be streamed ThinApp otherwise this will be a local ThinApp. 22. Click the “Build” button in ThinApp and wait for the build process to complete. 23. The ThinApp creation process is now complete and the applications should work and activate correctly on Windows XP systems. If you intend to use the Office 2010 ThinApp on Windows 7 operating systems, some additional changes need to be made to ensure that the product activation works correctly. 24. For Windows 7 machines only, in order for the ThinApps to launch and activate Office 2010 correctly you will need to disable the “Windows Search Service” and completely disable User Account Control (UAC). Disabling these two properties can be achieved by using Group Policy Objects as detailed here and here. That’s it, you should now have a fully functionaly Microsoft Office 2010 VMware ThinApp that works on both Windows XP and Windows 7 operating systems. 1. Download the latest version of CentOS, in my case this was CentOS 5.6 CD 1. 2. Upload the CentOS ISO to a datastore in your virtual environment and attached it to the converted virtual machines CD/DVD drive. 3. Power on the converted virtual machine and press ESC to show the VMware boot device selector. Select and press return on CD/DVD-ROM drive, this will now load the attached CentOS ISO. 4. When CentOS loads, at the boot prompt type without quotations “linux rescue”, and press return. 5. Select to mount all file systems in read-write mode and press return. 6. To re-install GRUB type the following without quotes and press return, “grub-install /dev/sda”. 7. Once the installation has finished type “reboot” and press enter to restart the virtual machine. That’s it, the GRUB loader should not be repaired and your virtual machine should successfully boot. Windows Deployment Services (WDS) is a technology I have been using for a long time, and is by far one of my favourites. I had a recent requirement to deploy a captured WDS image into a new VMware virtual machine. On doing so I was presented with a driver error, as the VMnet drivers that VMware utilises are not included in the Windows 7 boot.wim file as you would expect. To deploy an image to a VMware virtual machine we need to customise the boot.wim file to include the relevant VMnet drivers. To achieve this, perform the following steps. 1. Obtain a copy of, or use your existing boot.wim file. You can obtain a copy of the boot.wim file from the Windows 7 operating system installation media. 2. Place the obtained boot.wim file on the root of your workstations C:\ drive, so for example, C:\boot.wim. 3. On your C:\ drive create a new folder name “mount”. This will be used to open the contents of the WIM so that we can inject the VMware drivers. 4. 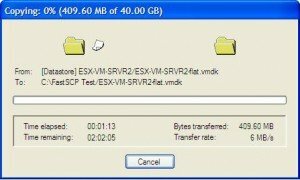 Download a copy of the VMnet VMware drivers from here. We will be injecting these drivers into our WIM image. Once the download is complete, extract the drivers folder and place it also on the root of your workstations C:\. 5. Download and install the Windows Automated Installation Kit (WAIK) for Windows 7 onto your workstation. This can be downloaded direct from Microsoft here. 6. Once you have downloaded and installed the relevant WAIK, navigate to WAIK start menu entry and launch the “Deployment Tools Command Prompt”. 10.Upload the unmouted image to your WDS server and then add it as boot image via the WDS console. 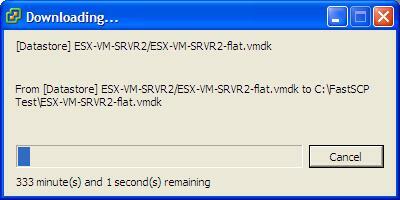 Your all done, you should now be able to use both WDS deployment and capture images in VMware virtual machines. 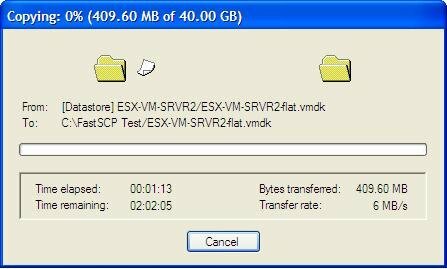 I recently experienced a strange issue when implementing the VMware Capacity Planner at a customer site. Once the collector software had been installed and I attempted to run the initial inventory of my target servers, the following error message was displayed in the capacity planners task pane. On first glance I thought this was an issue when querying a target server though either the remote registry or WMI. Some further research led me to VMware Knowledge Base article KB 1001396 which detailed the error listed above. Unfortunately the article detailed that this error is usually reported when running the collector on a Windows Server 2003 platform that is utilising hardened security methods, I was however using a Windows XP Professional machine as my collector platform. Ironically the suggested solution for this error in the VMware KB article is to install the collector on a Windows XP workstation. 1. Click Start and select the Run menu item. 2. In the Run dialog box type CMD and click ok.
4. Once you have pressed return on your keyboard you should then receive a “Task is completed” message and a warning message that an item could not be completed. You can safely ignore this message. 5. In the Capacity Planner software re-run the initial inventory task, and you should now see that the access denied error is no longer displayed.